Heat Quick Direct can provide Gas Safety Certificates (CP12) to landlords, home owners, and estate agents within Central London and the surrounding areas. We only ever use Gas Safe-registered engineers to carry out gas certifications, and we put an absolute premium on safety. Trust us to get the job done right with no corners cut. A landlords gas safety responsibilities. Managing a property can be a stressful business, with 101 things to remember. One of the most important areas of property management is staying on top of your legal gas safety duties. Every year, sadly some tenants die following faulty or incorrect work carried out by unregistered gas engineers. Common causes include gas explosions or carbon monoxide leaks. Not only is this tragic, but if it’s your property, it’s your responsibility. With over 25 years of experience in the gas, plumbing and heating industry, we are seeing more and more illegal gas work carried out every year in Central London. We know that when things go wrong, it’s not a pretty sight. Don’t risk your own safety, or that of your tenants. An unregistered gas engineer may save you a little money in the short-term, but you can’t be certain that their work is safe. This is one area where you cannot afford to cut corners. Landlords have a legal obligation to their tenants in this regard. Heat Quick Direct work for a number of well-known estate agents, as well as private landlords, in and around London. We carry out the necessary works, and then email the certificate and information over to you, saving you time. Trust us - we’ve been doing this for a long time. All of our engineers are Gas Safe-registered and happy to prove it. We have the knowledge and the experience you need. If you’re a landlord in Central London, then you are responsible for the safety of your tenants. The law states that you must ensure that all gas appliances are working correctly and safely. Therefore, every rental property that has any sort of gas appliance, whether it be a central heating boiler, a gas hob or even a gas fire, requires a Gas Safety Certificate. 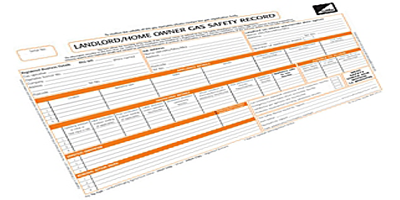 These certificates can only be issued by a technician who is on the Gas Safe Register. You can be confident that all of the Heat Quick Direct team are on that list.We ensure that the certificate, or CPL12, Is provided on the day, so not to delay any exchange or tenants moving in. We provide certificates at a fixed price with no hidden extras. Certificates are issued both on site and by email. Of course sometimes work is necessary before a gas safety certificate can be provided. In this case, our engineers will provide a free, no-obligations quote to you including parts and labour. If you decide to go ahead, we’ll schedule the work for as soon as we possibly can. Heat Quick Direct engineers will never perform any work without the written approval of the client. Plus - as a testament to the quality of our workmanship, all jobs come with a 2-year guarantee. Landlord in Central London and need a Gas Safety Certificate? Please call us on 0203 6971259 to arrange. We work with both commercial and domestic clients, many of whom have been us for a long time. We place great pride in the quality of our work, and the professionalism of our team. Heat Quick Direct have more than 25 years of experience in heating, plumbing and gas work. We won’t let you down. G3 registration is to certify that an engineer is competent to work on and install an unvented hot water cylinder or thermal store. If the engineer is not registered then by law he cannot work on one. We carry out all emergency plumbing and heating work, and aim to arrive within the hour, no matter where you are in Central London. In a gas emergency, act quickly and contact us on 0203 6971259. We are Gas Safe-registered plumbers in Central London and we’ll come out to check and fix the gas leak.